Until recently, we have been telling you that blue ash, Fraxinus quadrangulata, appears to be resistant to emerald ash borer, Agrilus planipennis. This is important because blue ash is the most abundant ancient tree in our woodland pastures. The emerald ash borer is devastating our white and green ash trees. See our previous story about the green terror. Now, we need to revise that preliminary conclusion. We recently found a large blue ash that was riddled with the D-shaped holes. These holes are created by the adult beetles as they emerge from the tree in the spring. This particular tree, shown in the picture, had more holes than we have seen in any other ash tree. However, the trees around this one had not been attacked. Why was this one tree attacked while others were left alone? We have one hypothesis which remains to be tested. 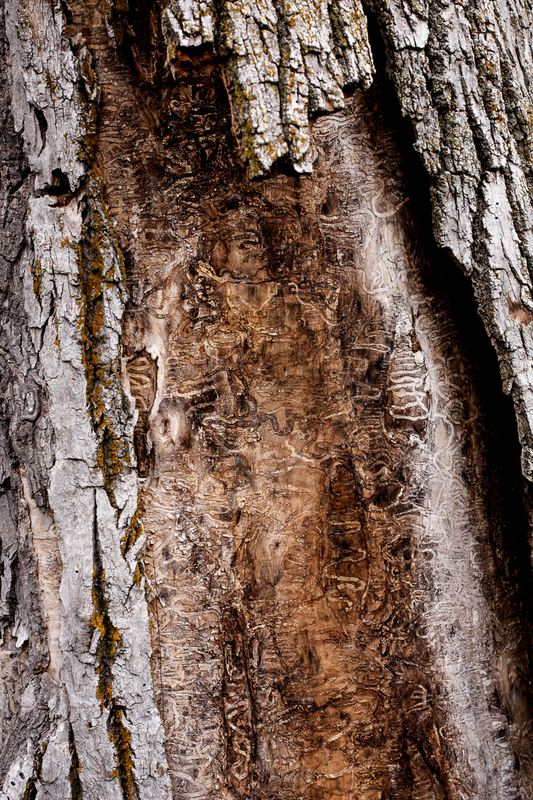 In China, where the emerald ash borer is native, healthy ash trees are entirely resistant to the borer. Only stressed trees are attacked and killed by the borer. We think that the same thing may happen with blue ash in North America. The tree that was heavily attacked appeared to be under stress, possibly from mower damage. Blue ash is physiologically and genetically very different from other North American ash trees and it seems to be highly resistant to emerald ash borer throughout its range. Emerald ash borer may kill stressed blue ash trees but leave healthy ones alone. Only time will tell if we are right. We strongly recommend taking better care of blue ash trees. Avoiding mower damage, soil compaction and other stressors may allow our blue ash to survive the onslaught of the green terror. 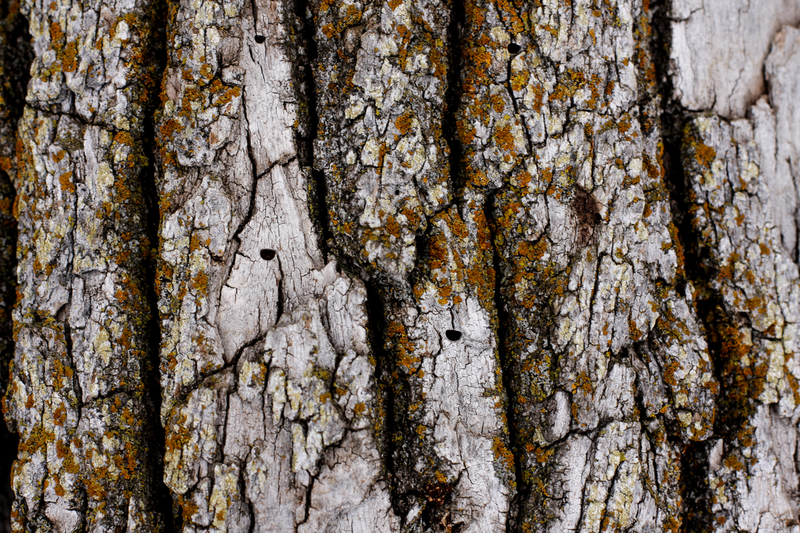 We do recommend treating high-value blue ash trees until we are more certain. Posted in News and tagged blue ash, emerald ash borer, Trees, Venerable Trees.